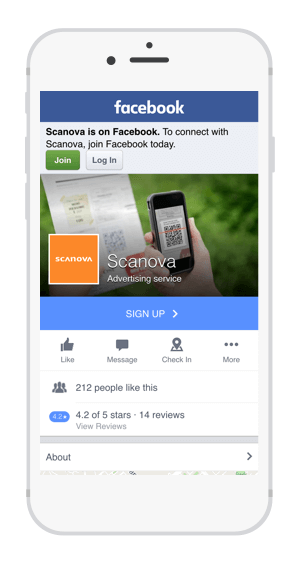 If you are looking to get your target audience to like your Facebook page or get them to add you as a friend, then a Facebook QR Code is what you need. 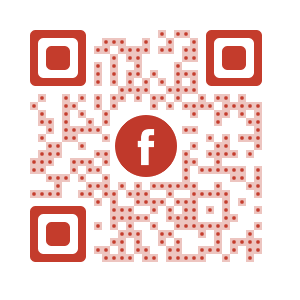 A Facebook QR Code, when scanned, will lead a user to your Facebook fan page or profile. Users can then like the page, comment on a post, or add you as a friend. Or you can also create a social media QR Code that redirects user to a page having links to all your social media profiles. In this article, we’ll focus on Facebook QR Code. The main purpose of QR Code here is to make it easier for users to take an action just like a Video QR Code or any other type of QR Code. Note that Facebook does not allow automatic liking of a page just by scanning a QR Code. The user has to manually click on the Like button to confirm his/her intention to Follow the page. You can use this QR Code in your print media promotions if you are looking to increase your social media following. This is particularly useful if you are a small local business or if you sell/promote actively using your Facebook fanpage. How do I create a Facebook QR Code? 1. Go to the Facebook QR Code Generator. 2. Enter a valid Facebook URL of your profile or fan page in the given field and click on Create my QR Code. 3. Your QR Code has been generated and you are given three design options to choose from – standard black & white, fancy with custom logo, and fancy with custom background. 4. You can either Customize the design of your choice or proceed to Download the QR Code. Note that you will be required to sign up for a free account before the QR Code downloads. An account will help you save your QR Code and let you track number of scans. 7. To edit the target URL or the design of this QR Code, find the QR Code in the Campaign Manager (from the side-bar on the left) under the Default Campaign. Note that you should be logged into your account. Also learn how to create a Facebook Messenger QR Code to get people to connect to you.